Let’s continue with animating our battles. We’ll do the next batch of battle events! This time we’re animating some items and abilities. A use battle event, playing the combatant’s item use animation. A cast battle event, playing the combatant’s ability cast animation. 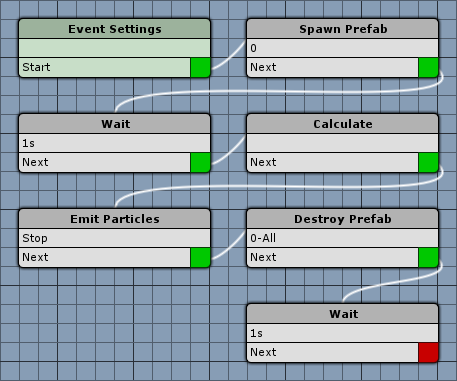 A battle event to spawn a particle effect prefab, play a sound and calculate the outcome. A battle event to spawn and move particle effect prefab to the enemy, spawn another prefab, play a sound and calculate the outcome. And we don’t have to create new battle events for each ability or item, only because we need to exchange a prefab or an audio clip. We can do this by overriding them in the ability’s (or item’s) battle animation settings – what a time saver! First, we’ll create the use battle event, it’s pretty simple. Open the ORK Framework editor and navigate to Events. Click on New Battle Event to create a new event. We only need a single step this time. We want to play the combatant’s use animation type and wait for it to finish. That’s it for this event – click on Save Event and save it as use in Assets/Events/Battle/. For the cast event we simply change the use event. That’s it for this event – click on Save Event As … and save it as cast in Assets/Events/Battle/. Click on New Battle Event again. This time we’ll spawn a prefab, play a sound and calculate the outcome of the ability or item the event is used in. This means we’ll need a prefab and an audio clip in our event – we’re going to add them in the Event Settings, but we aren’t selecting any prefab or audio clip. That’s because we’re overriding them in each ability or item we’re using this battle event. Add a prefab by clicking on Add Prefab and an audio clip by clicking on Add Audio Clip. We’ll spawn our prefab and also play the audio clip at the same time. This means the spawned prefab will be made a child object of the target object, i.e. follow it’s movement. 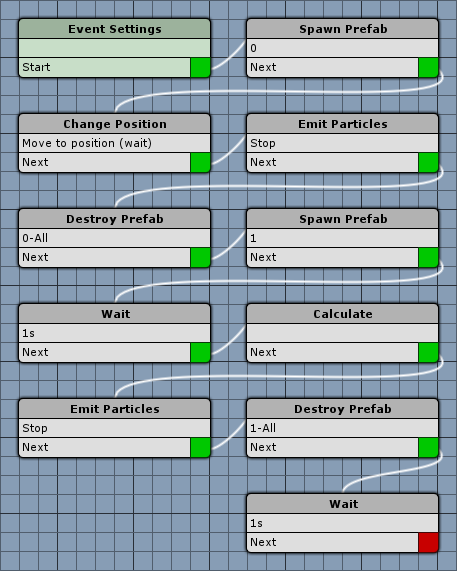 This steps lets us start or stop emitting particles on a particle effect. We want to stop emitting particles. This will use all spawned instances of the prefab. We’ll destroy our prefab after some time. The prefab will be destroyed after 5 seconds without waiting for it – the time can exceed the events duration. That’s it for this event – click on Save Event and save it as calculateEffectTarget in Assets/Events/Battle/. Click on New Battle Event again. This time we’ll spawn a prefab at the user, move it to the target, spawn another prefab, play a sound and calculate the outcome of the ability or item the event is used in. This means we’ll need two prefabs and an audio clip in our event. Add two prefabs by clicking on Add Prefab twice and one audio clip by clicking on Add Audio Clip. Now we’ll move the prefab to the target. We’re moving to the target’s game object. We don’t want to stop before reaching the position due to a combatant’s radius. That’s it for this event – click on Save Event and save it as calculateEffectTarget2 in Assets/Events/Battle/. Navigate to Inventory > Items. It’s time to animate our items with the new battle events. The procedure is the same for all items, but we’re using different prefabs (and audio clips, although we only have one to use for this …). This item’s animation consists of two battle events. Change the already added battle event settings. You can leave these settings as they are for now. Turn Based, Active Time, Real Time and Phase should be enabled. Click on Add Animation to add another battle event. Can be found in Assets/Tutorial Resources/Prefabs/BattleSystem/. Can be found in Assets/Tutorial Resources/Audio/. We don’t have that many audio clips, so we’ll stick with this one for multiple items and abilities. That’s it for this item. Repeat the settings from the previous item, but this time select Heal2 as the prefab. Repeat the settings from the previous item, but this time select Sparkle Rising as the prefab. Repeat the settings from the previous item, but this time select Soap Bubbles as the prefab. Repeat the settings from the previous item, but this time select Flame as the prefab. Repeat the settings from the previous item, but this time select Fireworks as the prefab. Navigate to Status > Abilities. Change the following settings. This ability’s animation consists of two battle events. Change the already added battle event settings. Enable this setting and add 2nd prefab by clicking on Add Prefab. That’s it for this ability. Repeat the settings from Fire, but use Water Surface Splash as Prefab 0, and Water Fountain as Prefab 1. Repeat the settings from Poison, but use Heal1 as Prefab 0. Repeat the settings from Poison, but use Sparkle Rising as Prefab 0. Repeat the settings from Poison, but use Sparks as Prefab 0. That’s it for the abilities – click on Save Settings and close the ORK Framework editor. What time is it? It’s testing time! Open the main menu scene (0 Main Menu) and hit Play. 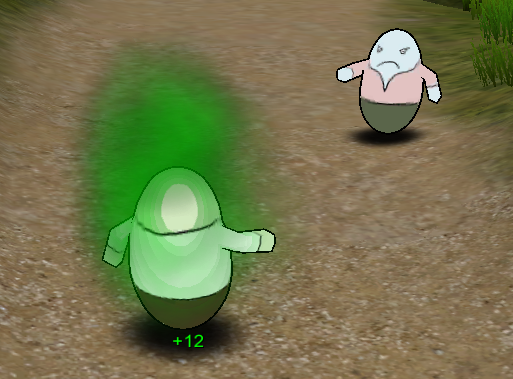 Walk outside of the town and into the battle – the items and abilities are now also animated! But we’re still lacking a proper intro to the battle … and an ending. And that’s it for now – the next lesson will cover battle start events.